a professional tightening treatment mask for skin therapists, its designed to work with your circulatory system - an often overlooked, but vital component of optimal skin health. This organ system is responsible for removing waste via our lymphatics, and nourishing our cells and tissues via our blood supply. These systems always work together, taking and giving, maintaining homeostasis….. The circulatory system plays a key role in a holistic approach to skin health. PRIN’s LYMPHATIC THERAPY are specially formulated tightening masks designed to work with your circulatory system - an often overlooked, but vital component of optimal skin health. This organ system is responsible for removing waste via our lymphatics, and nourishing our cells and tissues via our blood supply. These systems always work together, taking and giving, maintaining homeostasis. When our blood circulates around our body it provides nutrients (such as amino acids), water and oxygen to our cells and tissues. However during the capillary fluid exchange (where water, amino acids, and oxygen cross the capillary wall into the extracellular fluid), fluids don’t travel very far into the surrounding tissue, and even less when there are roadblocks. Which is why there needs to be a ‘clear road’, free from debris, so that these nutrients can get to their target. Whilst it’s not the only key to skin health (the body is complex and no one thing is a magic bullet), the circulatory system plays a fundamental role in a holistic approach to skin health. Happy, healthy skin requires vitamins, amino acids and proteins - all of which you'll get from our Custom Skin Health Facial - tailored to your skins concerns. This is the perfect treatment if you have never had an advanced skin treatment before, your skin is in need of some love or you are in between advanced treatments and looking for some extra nourishment. This is one intense skin workout designed to stimulate the skin on all levels. 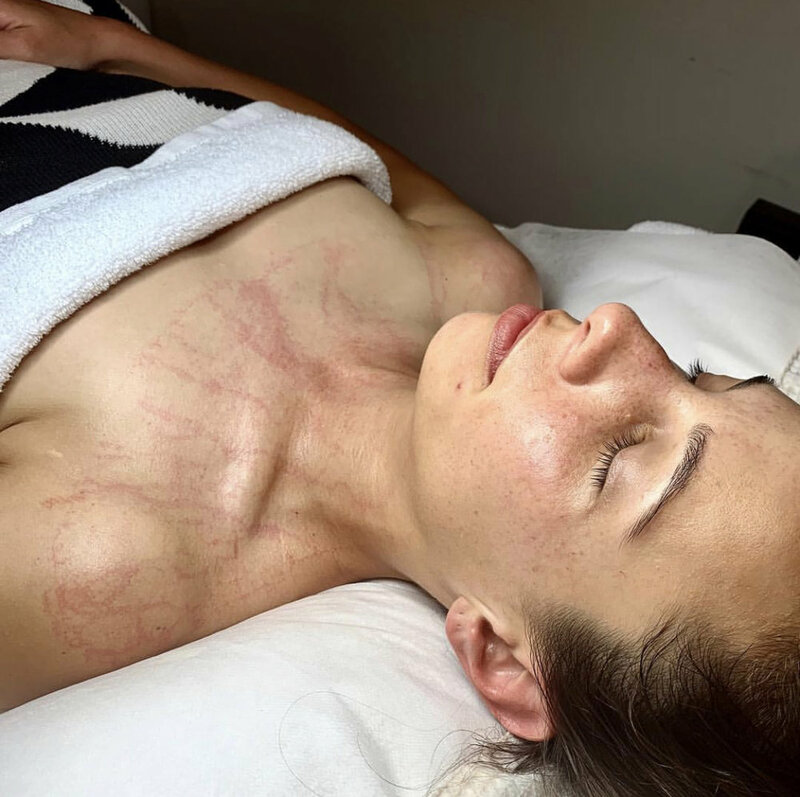 This treatment includes an Exfoliation, Skin Peel, LED Light Therapy, and PRIN’S Lymphatic Enzyme Therapy' Tightening Masks finishing with a transdermal infusion designed to restore vital nutrients, proteins, amino acids and moisture at a cellular level. If you are leaving nothing to chance prior to a big event, this treatment is best performed 1-3 days prior to your big entrance. Please note that other combinations may be recommended.